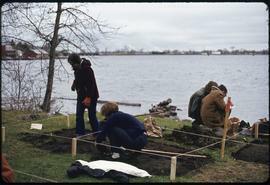 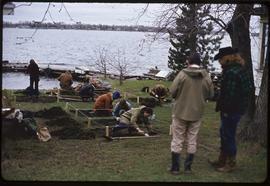 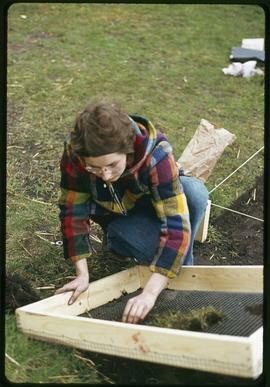 File contains images of the exhibit <i>Changing Tides : The Development of Archaeology in the Fraser Delta Region</i>. 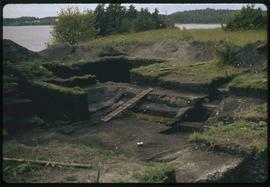 K'nu Canoe Point Venn Passage, P. Rupert Harbor, Archeological site looking south, note floor, Mainland, B.C. 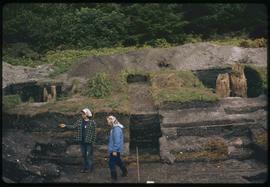 K'nu Canoe Point, Venn Passage, P. Rupert harbor, archeological site, back ridge above second house terrace, Mainland, B.C. 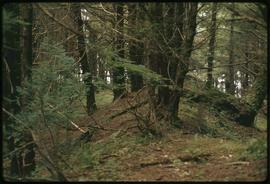 K'nu Canoe Point, Venn Passage, P. Rupert harbor, archeological site, posts in situ, toward North Mainland, B.C.